And welcome to another Guest Post. It has been a while since I did one of these (or let someone do one of these). And Ashley from The Blog Frog came with an interesting offer that I just couldn’t refuse. The Blog Frog is a website that gathers influential bloggers and puts them in categories for people to easily find the right Subject Mater Expert. Ashley found my blog and credited it as being a influencer, you see kids: flattery will get you noticed ;-). We started talking and she wanted to make a contribution to The Project Corner blog that was in line with the general information that can be found here. What we came up with was this article: the 5 biggest Project Management trends shaping 2018. And even though we are well on our way to start 2019 (it is still August 2018 at the time of writing). I do believe these trends are of great value to take notice of, even when we are in 2019 or even 2020. While innovations in business used to be relatively few and far between, that isn’t the case in the modern day. There are no stagnant industries anymore, and many business areas are undergoing some big changes every single year. While project management might not seem like an industry that is experiencing a lot of changes, that isn’t the case. There are advancements, technologies and trends that are shaping the project management industry as a whole. In particular, this article will take a closer look at 5 trends in particular that are shaping project management in 2018 and beyond. 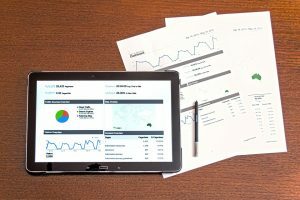 In the modern day, we have more access to numbers and information than ever before.All of these analytics and data can help assist in making sure projects are successful. You need to know how the project helped the business, how it compares to other projects, and more. While data and analytics have been important for a while, it is consistently becoming more important for project management as a whole, especially with things like big data and the cloud. 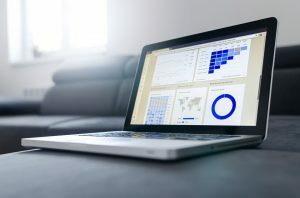 The use of dashboards that can quickly and automatically provide you with tons of information is becoming more common for many companies, and we see this continuing going forward. When it comes to being successful at project management, it used to be all about following processes, being efficient, and productive. However, we often forget that it is actual individuals that are behind the processes. While technical skills are still important, emotionally intelligent skills such as communication and management are equally as important. In fact, many would argue that certifications and the traditional “important” features of a product manager will soon fall to the backburner as things like management skills, leadership and problem solving become more important. Methods for how projects are managed and performed have changed greatly over the years. In the past, a method called the waterfall method was the most commonly used in all different kinds of businesses. The waterfall method was linear and project would follow certain steps until it was eventually completed. However, a new “agile” methodology is gaining stream and becoming the standard for many different companies. The agile methodology places a big focus on maintaining flexibility and usually features several short rounds of development, to help ensure that plans can be evaluated and adjusted if need be. So instead of one solid progression of steps, like in the waterfall method, the agile methodology allows for some flexibility, which is important in the modern day. In the past, many employees were simply trained by their new employers. And while this still happens, there is often a lower training budget in the modern day, which can lead many project managers to be in charge of their own development and maturity in the field. To be honest, however, this could be a good thing. 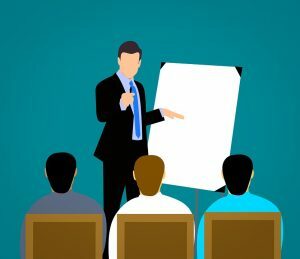 Development for project managers isn’t doing training because you are required to, it is about keeping up with the changes in the space to ensure you are the best project manager you could ever be. This can involve using your peers for help, seeking out growth via the internet, videos or books, or a wide variety of other things. Just like it has affected nearly every single industry on the planet, technology has had a massive impact on project management. In fact, technology has affected project management so much that digital project management can often be seen as a totally different thing than traditional project management. This digital project management has allowed for much more remote teams, which allows collaborations from various different locations and individuals, without a need to ever be in the same room or office as one another. The software and applications in the project management space are also becoming much simpler, affordable and efficient to use. These all make seamless workflow incredibly possible and viable for businesses of all shapes and sizes, and makes collaboration easier than it ever has been in the past. Technology has already changed this industry a lot in the past, and this is only going to continue with the advancements in software and applications. In conclusion, these are five of the biggest trends that we believe will help to shape the project management industry throughout 2018. Hi there, this is Erik again. I just wanted to thank Ashley for writing about these Project Management trends that are surely shaping the world as we know it. Reading the article for the first time it reminded me of a Microsoft seminar I attended. In it the speaker mentioned that Data is the new resource that will propel global growth in the coming years. Just like Stone, Iron, Coal, steam and Oil did before. Data mining is now (or will soon become) the biggest contributor to global growth. And Microsoft is working hard on making the process of mining and understanding that data a top priority. It’s a great time to be alive! If you are wondering: yes, TPC can now be found on The Blog Frog, here. Previous Previous post: What does Effort Driven do in Microsoft Project?